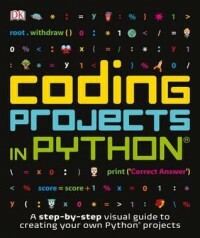 Actually, I finished reading this book quite a while ago, as a quick read, and was planning on going through it a second time at a different pace in order to fully use it—namely, to teach myself Python. I thought (and I still think I was right) that I’d then be able to review it properly. Unfortunately, between work and studying for both network certifications and uni, I don’t really have enough time to add programming to my timetable, so this will have to wait. I made it to 25% of the book, in terms of following its teachings. From what I’ve experienced here, while I wouldn’t recommend it to younger children, it looks to me like it’d be an appropriate place to start for kids around 10-12. And older kids as well, of course. Or even adults. Because we’re ‘adults’ doesn’t mean that the colourful pictures will magically alter our ability to follow instructions to develop programs in Python. I wish I could give a deeper review. Maybe at a later time, once I can pick it up again.